Still in holiday mood but good attendance. 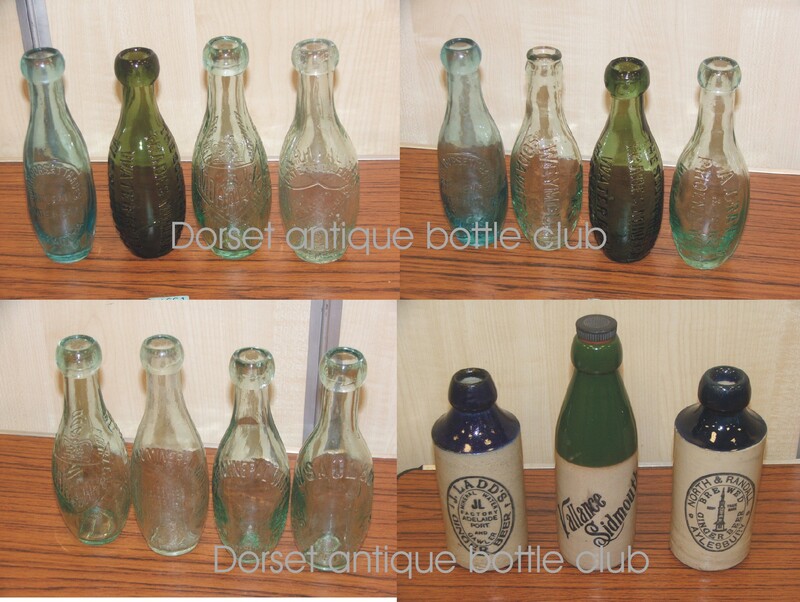 Some Nice skittle minerals coloured top ginger beers. Best bought was keenly contested with a Quines patent poison aqua Foulstans crescent. Surper John A Toone potlid depicting St Peters Church one most pot lid collectors would like to own..
On the sales table was a Radams Microbe killer flagon a striker and Gibbs Mew & co Anchor Brewery Salisbury two gallon flagon. The Broken Monkton Wimborne beer caused some excitement. The stone item drew some interesting non bottle items a Paleolithic hand Axe and a piece of petrified fossilized wood? 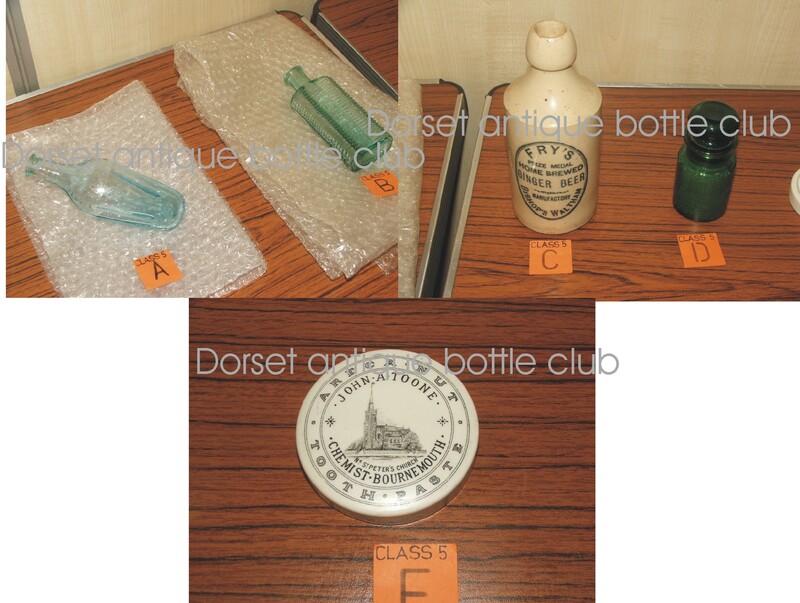 This entry was posted in bottle Clubs, Ginger beer, Meetings, Uncategorized and tagged bottle club, Dorset Antique Bottle Club, Ginger beer, poison bottle, Pot Lid. Bookmark the permalink.